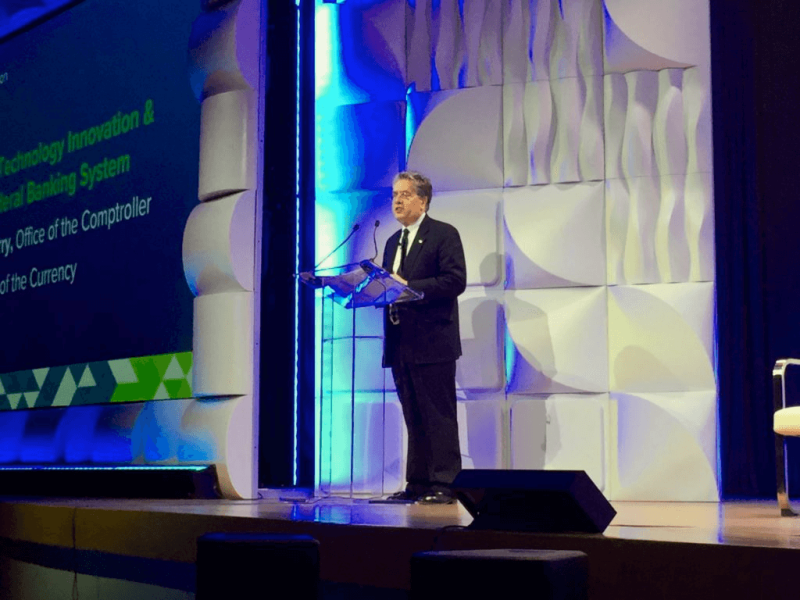 Thomas J. Curry, head of the Office of the Comptroller of the Currency (OCC), spoke Monday at the annual LendIt USA conference in New York, discussing his recent proposal for a fintech charter. The charter, proposed in December 2016, will regulate fintech firms while allowing them to operate nationally, appropriating state licensing requirements. According to critics, congress has given the OCC a “narrowly-defined authority to charter only three specific types of special purpose national banks,” and offering national charters to financial technology firms would be overreaching its authority. Curry pushed back, saying the charter is within the bounds of legal authority set forth by the National Bank Act, and will encompass all fintech companies engaging in banking activities, whether or not they take banking deposits. “We will be issuing charters to fintech companies engaged in the business of banking because it is good for consumers, businesses and the federal banking system,” said Curry. The OCC Chief also spoke of the importance of supporting responsible innovation in fintech while promoting access for the underbanked. He said the OCC is working on an update to the Licensing Manual that will provide more details about how fintech companies will be evaluated for the charter. Fintech firms looking to provide less-costly services to the unbanked and underbanked have often felt stifled by state licensing requirements. While many firms hope a less restrictive charter will work in their favor, others are cautious about the cost of further regulation. “Banking will continue to be a major engine of the nation’s economy for the foreseeable future. At the OCC, we fully recognize that the opportunities for consumers of financial services are changing for the better, and you are a part of that change. That’s not to say that I don’t see risks as a regulator, I do. But, the promise of responsible innovation can outweigh that downside risk and better serve the needs of consumers, businesses and communities nationwide,” said Curry.